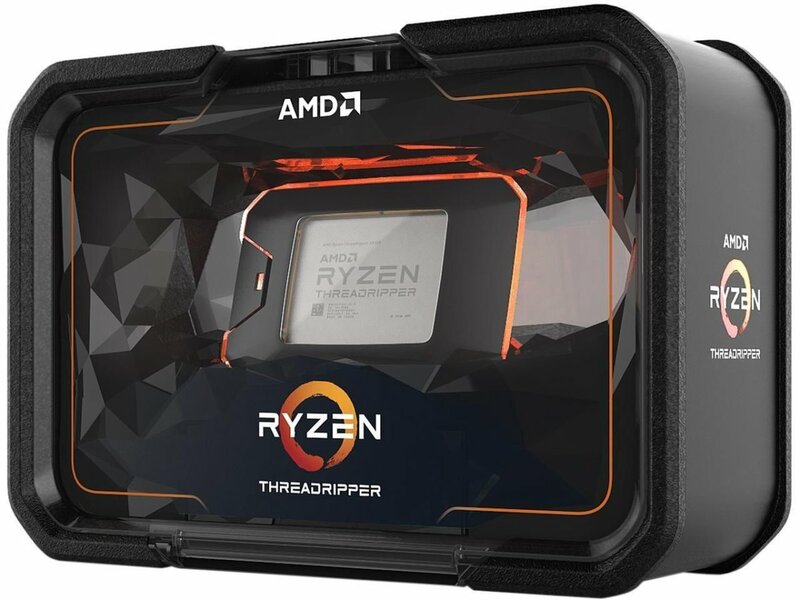 Reporter: We see laptop makers announcing products with AMD inside them, but the big splashy products continue to be all Intel. Why is that? Su: You know, it’s a journey. It’s a journey, but we’re making progress. 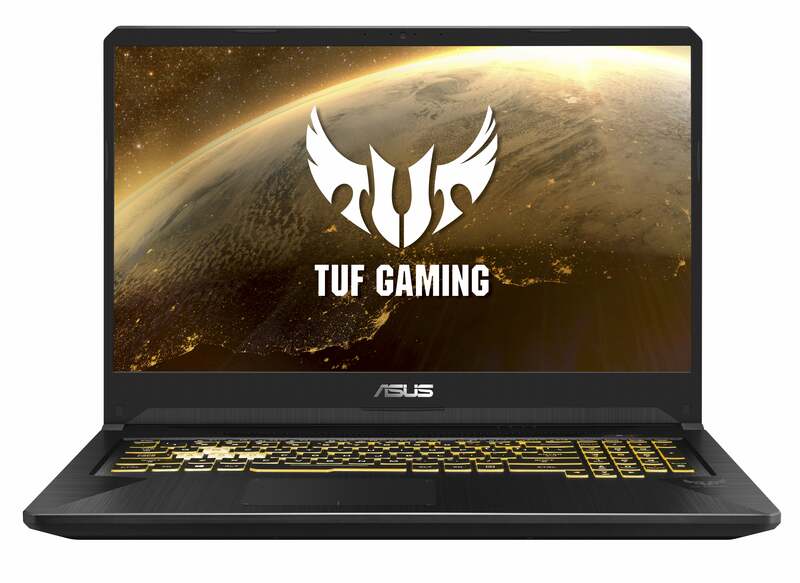 And yeah, the way I look at it is, you know, my commentary to the OEMs is we care about PCs, and we are investing in PCs on both the desktop and notebook form factor. I would say that the first-generation Ryzen notebooks were good, some of them were very good. I think the second-generation Ryzen notebooks are going to be a lot better, in a broader set of form factors. One of the things I get to do at this show is that they show me some of the new form factors. I was in a meeting with one OEM yesterday and they were going to triple their designs. That’s really cool. I’m happy with them. And some of them are really, really nice, and I’m looking forward to those coming out this year. But it’s a journey and you know, from my standpoint, we make good progress; we gained notebook share in the fourth quarter as we really started ramping those guys, and I think second-gen Ryzen is better than first, and third-generation Ryzen mobile will be better than second. Reporter: I think there’s a still a perception that within notebooks, AMD is still behind Intel. What can you do to shift that perception? Su: I think it’s a familiarity. So what’s really interesting is if you look at the different markets, right? Like you look at the desktop enthusiast market, where the people who read your columns, who are really, really savvy in tech, they love us. Actually, truth be told, I watch our rankings very, very closely at the top e-tail websites—I didn’t go today at what Amazon says, but for the last while I think we’ve been number one. It helps that it’s a great product, at a good price, and in stock. So yeah, so that adoption is going really well because, you know, folks are really savvy and they’re looking at the specs and they can see the value. Sometimes on the notebook side you go through so many different people, right? You go OEM, to retail buyer, to retailer, to the blue shirt at Best Buy or Dixons that has to explain it, to the guy at home who doesn’t know much about chips. There’s a lot of people to explain that message. And that’s part of our job. Part of our job is to get more people familiar with what AMD can bring to the party. And, you know, we believe we’re making good progress, but it doesn’t happen overnight. So yes, we have work to do, but we’re making good progress. Reporter: Nvidia opened itself to FreeSync. Can we expect any reaction from AMD to that? What do you think about it? Su: Where are my graphics gaming people who love talking about this? Look, we knew FreeSync was the right answer. We’ve known FreeSync was the right answer for a couple of years. The fact that others have decided that FreeSync is the right answer, I think, says that we made the right choice a few years ago. We believe in open standard. You know, we believe in open ecosystems. That’s been a mantra. So we have no issue with our competitors about FreeSync. And we think that just means that, you know, it’s better for gamers and we did a good job. 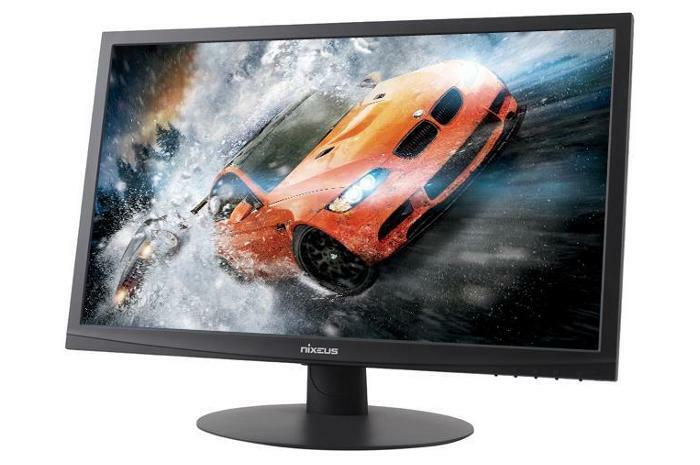 Reporter: It seems that there’s a huge disparity in quality in FreeSync monitors. Is AMD going to be working with them to resolve this? Su: Well, if you really think about it, what problem are you trying to solve? I mean, the way we look at it, is there’s a whole host of monitors and TVs out there—over 550—with very different price levels: entry level, to super-duper premium, and gaming monitors. And we certify; we make sure they work with FreeSync, and you will get the experience you pay for on monitors. I don’t actually see a problem. Reporter: Nvidia’s Jensen Huang said that FreeSync doesn’t work. Su: I don’t believe we’ve seen that. So, yeah. Reporter: Some use “adaptive sync” and “FreeSync” interchangeably. Is that OK? Su: It’s a good point. I think both definitions will be used interchangeably, and that’s okay. So adaptive sync technology, FreeSync is a free version; there are other adaptive sync technologies, and [inaudible]. Is that right? Reporter: We always found Ryzen to be a really interesting product, but it always feels that we can never get a gaming machine for review. Is it a manufacturer issue? Su: Can we help here? We might be able to help get some for review. And that is also one of the value propositions for Ryzen Mobile. If you look at some of the systems like the Acer [inaudible], some of the entry-level categories. There’s a couple more in development, based on the second-generation Ryzen. So we should absolutely help you get some systems for review. Reporter: Nvidia and HP have partnered on a giant gaming monitor while AMD has sort of a similar partnership with Samsung. Can you tell us more about that? Su: So actually we have a really, really good gaming monitor partnerships with a bunch of folks. Samsung is one but there’s a few others as well. You’ll see some larger monitors and capabilities from us this year. Reporter: Is the chiplet capability affecting the semi-custom business like consoles? Is there more interest? Su: You know, we believe that it will accelerate the semi-custom breadth of opportunity and that you can use our CPU, and our memory, and our fabric, in a custom ASIC. So yes, that’s part of the conversations we’re having. Reporter: Nvidia is taking criticism for bringing out ray tracing hardware without a lot of software support. Is it fair to say that AMD is waiting to release ray tracing GPUs until there’s a software ecosystem in place? Su: It’s fair to say that. I don’t think we should say that we’re waiting. I would say that we are deep into development, and that development is concurrent between hardware and software. And so for us, it’s, you know, what is the consumer going to see? The consumer doesn’t see a lot of benefit today because the other parts of the ecosystem are not ready. I think by the time we talk more about ray tracing, the consumers will see that. Reporter: And is there a time frame for that yet? 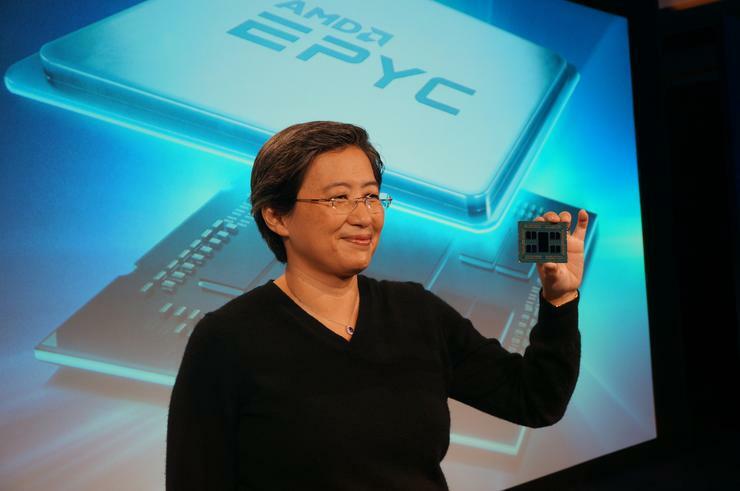 AMD has traditionally favored more cores over higher clock speeds, but it appears in 2019 it may reverse that trend somewhat? Reporter: Is AMD going after the single-threaded performance crown? Su: Our first priority is overall system performance. But we know how important single-threaded performance is. And so you will see us push single-threaded performance. And I’m not making any predictions. Reporter: It seems that OEMs are still working more closely with Intel in terms of the design of new hardware. Is AMD also trying to improve its collaborative design? Su: Much more so now. Much more so now. I think when we were sort of catching up with it in performance, there was more, you know, the chassis was already available, and we needed to figure out how to slot the AMD processors already in it. And now, as we look at our forward-looking roadmaps, we have some interesting things coming beyond what we talked about today, for our second generations, and we are working with a couple of folks to design that [inaudible]. Reporter: How has the supply relationship between GlobalFoundries and TSMC shifted as a result of the chiplet development agreement? Su: What we’ve said, and not to be cagey about it, is GlobalFoundries is a good partner. They’ve done a good job for us in 14nm; we really appreciate our partnership, we’re really working on amending the supply agreement to accommodate the change in strategy that’s in place, and we’ll be talking more about that shortly. Reporter: There’s been a race to make laptops thinner and thinner. Is there merit to that? Su: I think, yes, there’s a lot of merit to the fact that, you know, people like sleeker form factors. They like to carry something that’s lighter, that has a cooler feel to it, but not at the expense of performance. And so, you know, our focus has always been, yes, we need to do that. Yes, that means that focus on power, and power efficiency, but it’s got to have a minimum performance. We’re not trying to be a tablet. We’re trying to be [inaudible]. Su: Navi’s fine! You’ll hear more about Navi. Navi’s doing okay. You will hear more about Navi in 2019. It’s a very active graphics cycle for us.